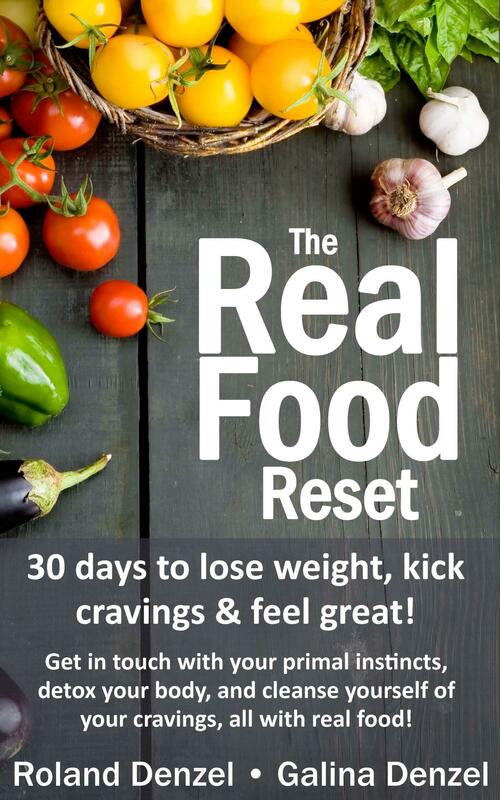 The REAL Food Reset - 30 days to lose weight, kick cravings, & feel great! Unlike a diet, a detox or a flush, The Real Food Reset develops healthy eating habits that become a platform for perfect health for the rest of your life. No weighing, measuring, or counting required! • tired of being overweight? • fed up with cravings? • are done letting food rule your life? • you need to get healthy NOW! • feel results in just 30 days or even less! Available in paperback from Amazon, Barnes & Noble, and now internationally via Book Depository! Get INSTANT ACCESS by downloading The Real Food Reset on Apple, Kindle, Nook, or Kobo! We now have an online program and live coaching options to help you with your Real Food Reset! Whether you choose the book, the course, or coaching, The Real Food Reset will teach you everything you need to know about feeling your best. Learn what foods make you feel you great, lose weight, and how to feel better in your own skin, all while using Real Food as your only tool. Start your Real Food Reset today!